This is my first monthly challenge but it's going to more than a month really as I'm going to make it a two month challenge as I've added in extra things. 3. Lemon Juice : Got to admit this one has been an on /off one. Instead of me before when I used it buying just the bottle I was constantly running out of lemons so that wasn't ideal. I've got a few dark blemishes that I want rid off and lets brighten up the elbows and kneecaps while were at it. 4. Eyebrows Getting A New Growth : This one is atrocious because considering I do quite a bit of FOTD / EOTD me growing back my eyebrows oh goodness lol this is going to be a tough one but I want them back to there virgin state and reshape them. I'm hoping to do all these before my 23rd bday ( 28th April ) so I got two months worth of positive challenges. Before photos will be done with all challenges that of course are possible. Things are just so up and hectic right now away from the blogging world so I'm so pleased you all are staying loyal and once I get a chance I'll get to replying some comments. Thanks loves!! Do you set yourself monthly challenges ? @BeautyStalker congratulations on becoming a vegetarian :o) yay. Love that! Oh yeah I thought I had that just turned out I was really lacking on the iron side. Oh ditto mine too, well I'm 159lbs and want to get down to 131lbs the weight I was at the start of 2008. Such a struggle ... Good luck honey. I set myself a challenge this month to do dance, pilates and yoga. So far i LOATHE yoga haha. 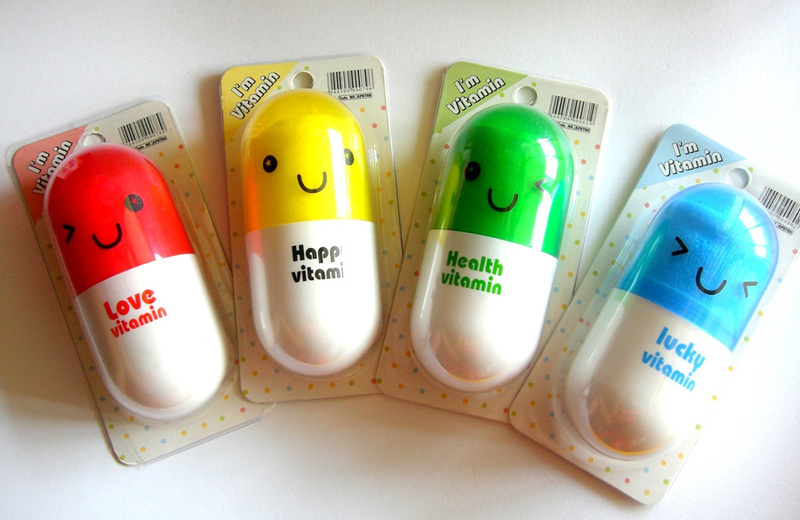 The vitamin picture is just too cute! @EllysMakeupbag lmao ... I use to do yoga to ease a injury I had. It's def not for everyone. I hope you get into it more honey :o) Good luck.